Scottish Premier League newcomers Ross County have signed Ross Tokely following the defender's departure from Highland rivals Inverness. 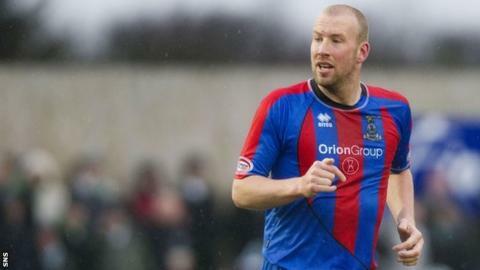 Tokely, 33, ended a 16-year spell at Inverness when he rejected the offer of a new deal at the Caledonian Stadium. And he has clinched a one-year contract at Victoria Park. "Ross is a commanding presence both in matches and on the training pitch," manager Derek Adams told the Dingwall club's website. "He has a wealth of experience at this level and, whilst a lot of our players have already played in the SPL, having someone like Ross who played the majority of last season and knows the league and the teams so well is a valuable addition to the group."